Enjoy your cold days with a dish full of flavor and vitamins! Cut the vegetables into big pieces. In a big pan add the olive oil and let it heat, then add the meat and cook it until it’s light brown. Add the vegetables and the coriander except the tomato. Cook them for 2 minutes, add the lemon juice, the tomato, the bay leaf and 1,5 litre of boiled water. Let it simmer for about an hour and half. Finally, season. Then remove the beef from the pan and with by adding a little corn flour you can make your soup velouté, otherwise you can enjoy it the way it is! “The politics of virtue and vice. A classic 11-ingredient meal the way my beloved mum makes it, usually on Sundays. This is by far the tastiest stifado I’ve ever had. This is considered to be a rather heavy meal but in this recipe there’s no browning so as to keep it as light as possible. I use veal but many people prefer rabbit to go with all these onions. I suggest you try both bearing in mind that the rabbit takes only about an hour to cook. The day before cooking, clean the baby onions and leave them overnight in a large bowl covered with water. Next morning, remove them from the bowl and place them in a colander for about an hour. Use a large shallow pan. Pour the oil, add half the beef, half the onions on top along with the garlic cloves, then the remaining beef and finally the remaining onions on top. Add the rest of the ingredients (tomato, vinegar, etc) and season. Garlic cloves can be used whole or finely chopped. Simmer for 2,5 hours. 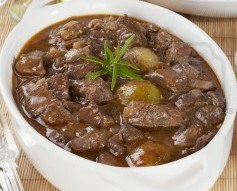 Do not add water unless you feel it is absolutely necessary; not to worry, the onions will keep the stew moist the whole time. We could choose to do so, just as a person trapped in a warehouse full of food could choose to starve, but we could never be forced to. This is not a theory or conjecture, it is cold, hard fact. This dish makes for a very festive holiday dinner. As I love holding dinner parties, I always try something new every time. 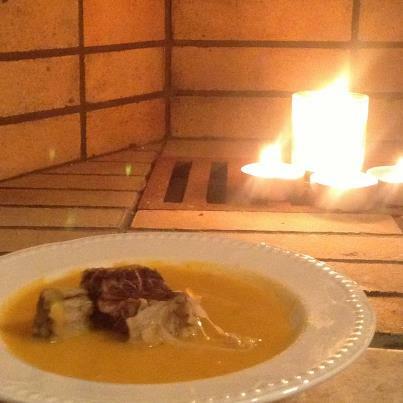 This is a dish I cooked two years ago for some very good friends of mine and it proved to be an excellent choice. It looks troublesome at first, but it’s not and it’s guaranteed to tempt even the most jaded palate. Preheat oven to 180oC/ 350oF / Gas Mark 4. In a large saucepan, heat the butter and add the spinach. Cover the pan allowing for the spinach to wither. Remove to a large bowl, add the rest of the ingredients and stir. Trim the fillet, cut away the side strip of meat (save for stir-fry) if it is still attached. 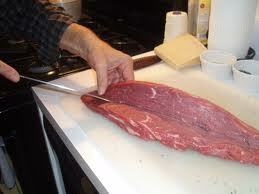 Trim away most of the external fat and cut it lengthwise down the centre of tenderloin; open like a book. Using a meat tenderising tool, gently flatten the meat to an even thickness. Top with the filling. 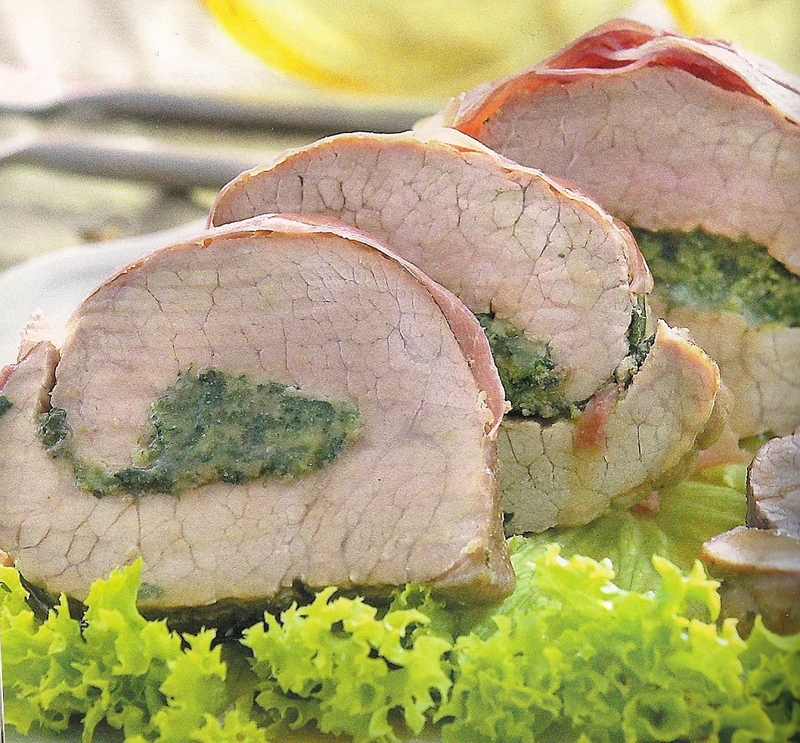 Carefully roll meat lengthwise into a long slender roll. Cover the roll with the prosciutto and tie to secure using kitchen twine. Heat the butter and add the beef roll, turning to brown all sides. Add the chopped onion, garlic, remove in 5 minutes. Move the beef roll with the rest of the ingredients to a covered roasting pan. Pour in the wine, the beef broth and the lemon juice. Cover and roast for 1 hour. Every 15 minutes or so, open the pan and sprinkle the beef roll with its own sauce. 60 minutes later, open the pan, season, raise the oven temperature to 200oC/ 400oF /Gas Mark 6 and roast for another 15 minutes until it looks brown and crispy. Remove twine and slice 1/2-inch thick slices. Serve immediately to a platter and don’t forget to pour over the sauce. I should be posting something about Italy today, but I’ll wait until Silvio Berlusconi gets back into shape. Instead, I’m moving next door to Spain, which seems far more interesting these days. The people of Catalonia, the richest region of Spain, voted last Sunday in an election which may – and I repeat, may – set them on a path to independence. Artur Mas, the man who trumpeted the cause of independence throughout the campaign will still run its regional government. The central government in Madrid is most unlikely to give its approval for the holding of a referendum on Catalan independence and if the opinion polls are right, there is in Catalonia, unlike in Scotland, a pro-independence majority. Apparently, the EU has far more problems to deal with than it bargained for. 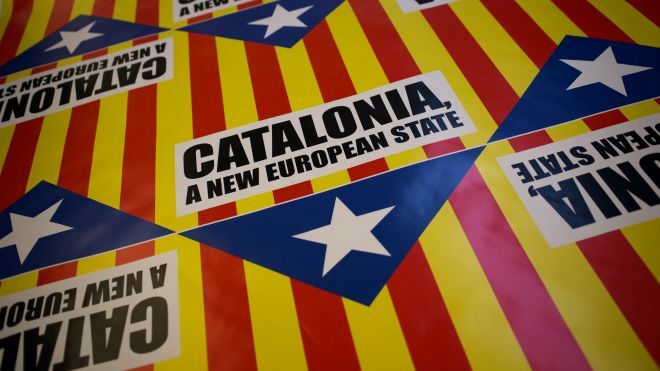 The reason all this matters far beyond Spain’s borders is that the Catalans are not the only Europeans itching to form their own independent state. Quite apart from those Scots who favour independence, what about the Corsicans of France, or the Padanians of northern Italy? Say goodbye to old Europe as we know it?